r a c h e l b a u e r d e s i g n - Guest Room Week #3: Canopy Week Three Already? 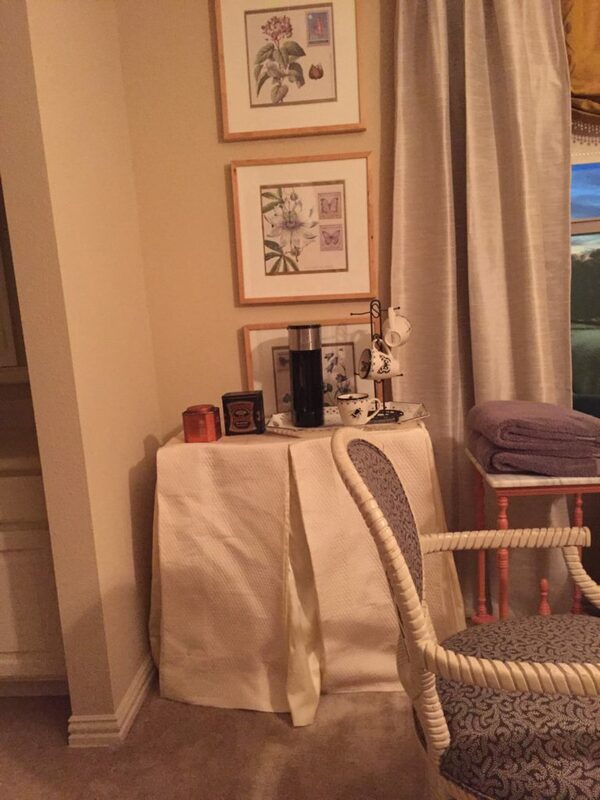 Home Blog Guest Room Week #3: Canopy Week Three Already? 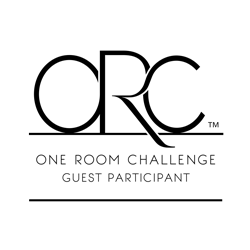 Welcome to week three of the One Room Challenge. This time around I am redecorating my Guest Room that my parents stay in when they visit. You can see Week 1 and Week 2 if you want to the progress so far. 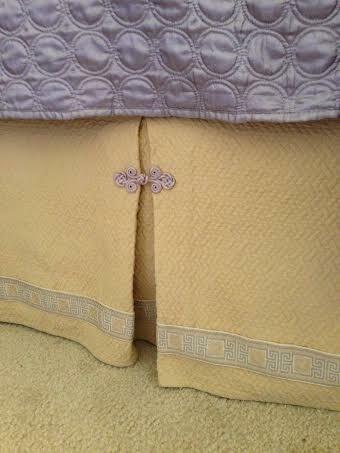 I’ve made the tailored valance that will hang in front, but I need my husband’s help to hang it. 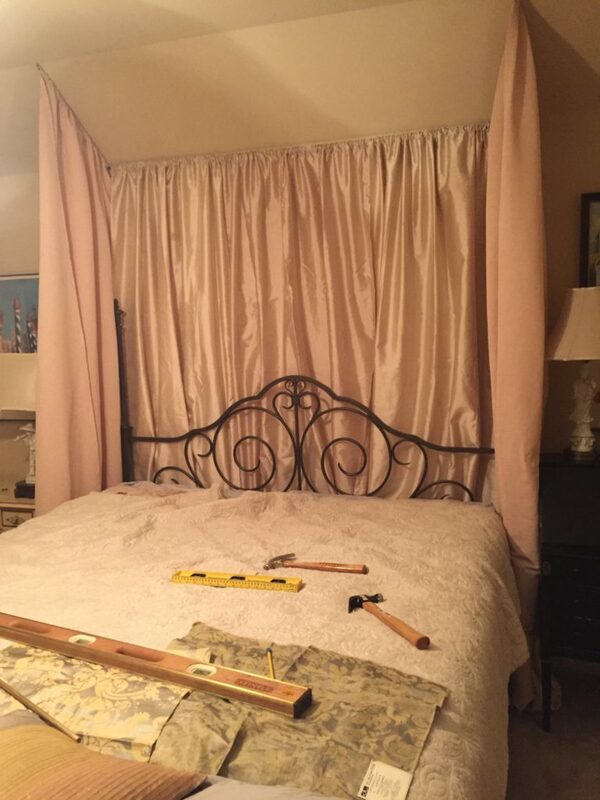 I also want to make or find tiebacks to hold the panels closer to the back wall so my guests can more easily use the furniture and lamps beside the bed. 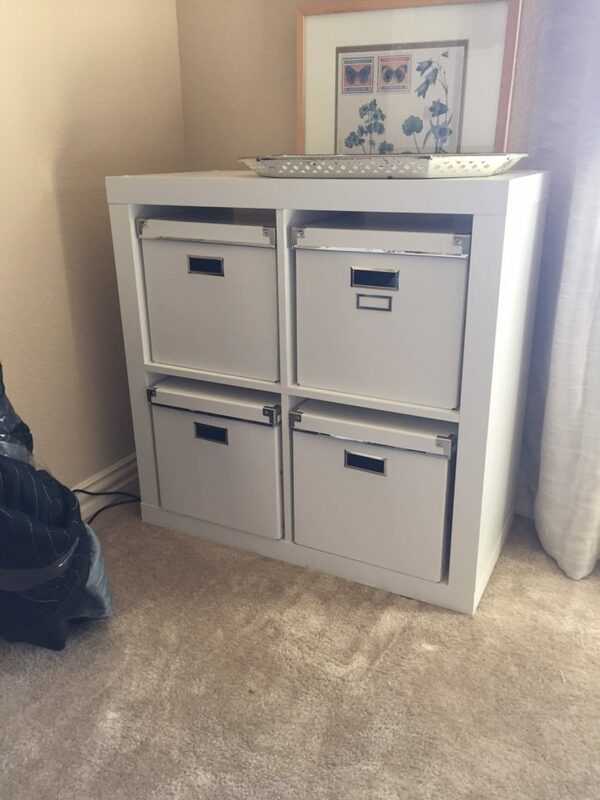 I have also made a skirt for the Ikea storage piece that I’m using as a coffee station. That’s all for this week. Please check out the other ORC participants’ work here: Wednesday participants & Thursday guest participants.